6 Fashion Trends That Shouldn't Work - But Do! Six Fashion Trends That Shouldn’t Work – But Do! There are always those tricky trends that you think will never work, yes, midriffs, I’m talking about you, then before you know it everyone is wearing it and you’ve missed the boat. Don’t be so quick to dismiss, read on to get S/S ready whatever the trend. 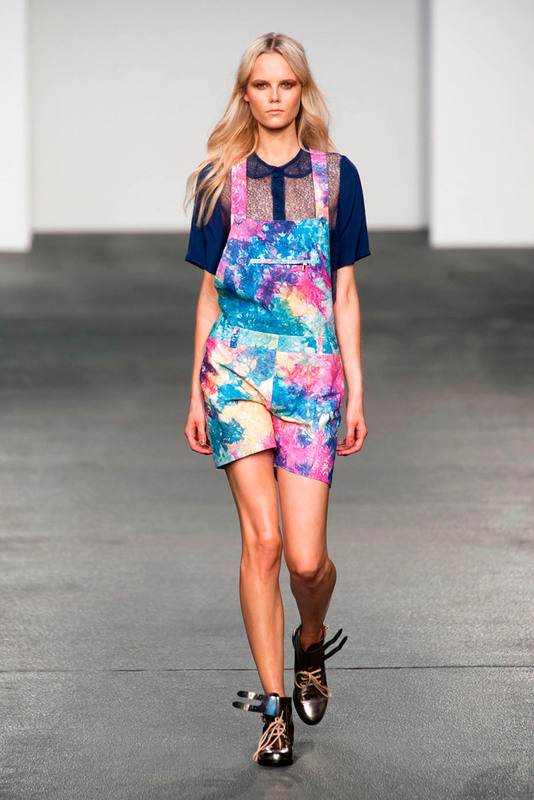 This season designers all over the catwalk were going head-to-head with matchy-matchy accessories. It’s not just about your shoes and bag matching K Middy-style, though, to get the 2013 look, follow Carven’s lead and match to the print of your dress, too. It’s the ultimate lazy gal’s styling trick to stand out and make a statement for all the right reasons. We first saw it in the early 90s with Marc Jacobs’ S/S 1993 show at New York Fashion Week. Now it’s back and more wearable than ever. 2013 grunge has a laidback feel to it, but in slick fabrics. Yes, you might be wearing a sloppy sweater with ripped denim (we like the Current/Elliot Distressed Boyfriend style best) but you are teaming them with a bold court shoe. No scruffy trainers here. Don’t let the music references from Nirvana scare you off either, you don’t have to be a die hard Pearl Jam fan to enjoy this trend. 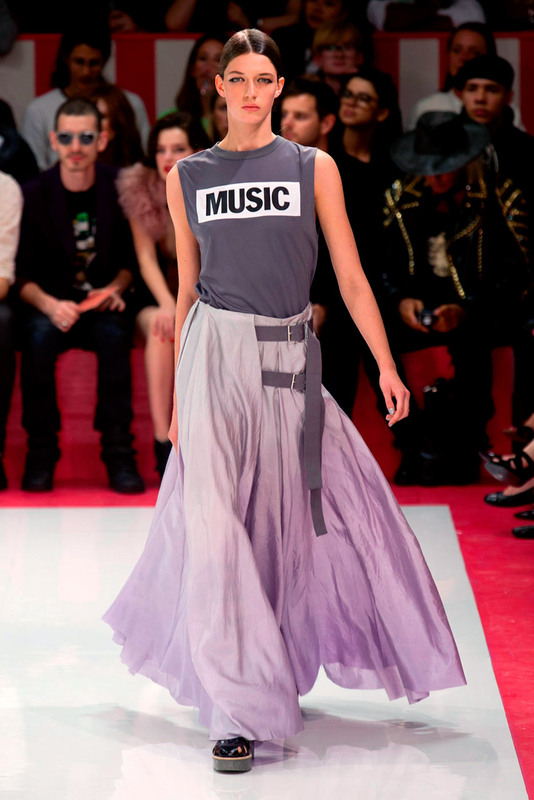 Take one maxi skirt, long sweeping to the floor, add a slogan tee, (the must have piece of the moment), an oversized plaid shirt and you’re already there. At the A/W shows back in February every Fashion Editor worth their salt was sporting a pair of dungarees. Yes, you heard that right, dungarees! From double denim and floral prints to leather. It’s the key piece of the summer. Wear it now layered with a roll neck underneath, then, for when the sun finally comes out, knock the tomboy connotations on their head and team it with lacy camisole for a girly spin. Roll up the hem to just above the ankle and add a high heel for the wow effect. Who ever said horizontal stripes can make you appear wider than you would like? Don’t believe it. We are rewriting the rule book this summer. None of that skinny vertical stripe here. We are going big and bold this season. Wear it head-to-toe for maximum impact and keep jewels to a minimum. Plus, wider vertical stripes help balance out a petite frame and give the illusion of added height. Win win! The ultimate conversation starter gets a upgrade for S/S. 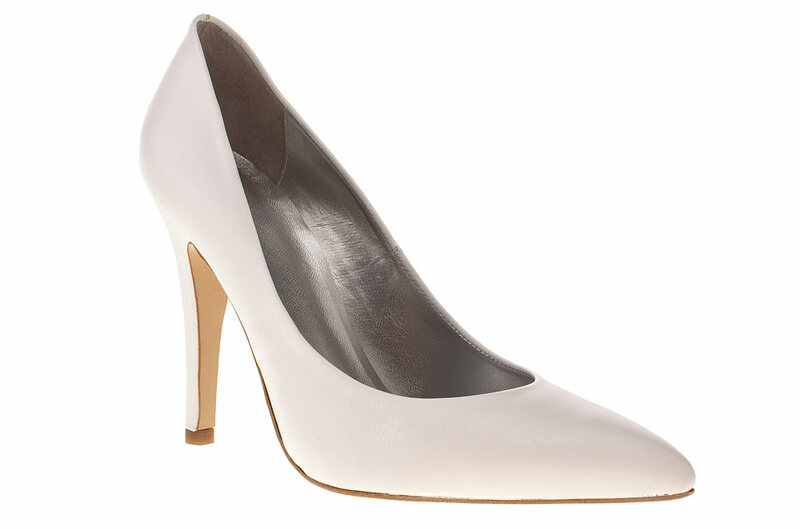 White stilettos can look chic and expensive. Just remember, don’t overdo the fake tan and try and keep the heel under four inches. Do look out for an unfussy design, invest in a good quality shoe polish and go for leather not suede. These Schuh classics wont break the bank. Pack your leather skirt away at once. A delicate organza sheer skirt is your new wardrobe must-have. Ultra-feminine and guaranteed to turn heads. Team with a block coloured silk shirt for a look that works for the office. If you’re not feeling so bold, go for a style with a sheer panelled detail like this Topshop one.